Shopify among the top ten companies in 2019 where Canadians want to work, according to a new list from LinkedIn. The list, which featured 25 companies, included a number of the Big Five banks, notably, the top five companies were RBC, TD Bank, Scotiabank, CIBC, and BMO Financial Group, respectively. Landing at number eight was Shopify. Earlier this year Shopify announced that it surpassed $1 billion in revenue in 2018. LinkedIn created the lists based on its own data, as well as actions taken on its site by LinkedIn members around the world. It stated that its “data-driven approach looks at what members are doing, not just saying, in their search” for careers. This is the second year that the social networking site has published its rankings. The site’s editors and data scientists look at four main components: interest in the company, engagement with the company’s employees, job demand, and employee retention. Based on this information LinkedIn decided on the companies that it feels where Canadians want to work for the long term. The only Canadian-founded tech company on the list, Shopify, made the top ten for its global headcount of 4,000 employees, with three Canadian locations spanning Ottawa, Toronto, and Montreal. According to the list, the jobs that it hires for the most include engineering, media and communication, and information technology. LinkedIn noted that Shopify is also notably investing in untapped immigrant talent through its Android Bootcamp. The program allows newcomers to Canada, that have development experience, to learn about building an Android app. Earlier this year Shopify announced that it surpassed $1 billion in revenue in 2018, a 59 percent increase from the same time last year. 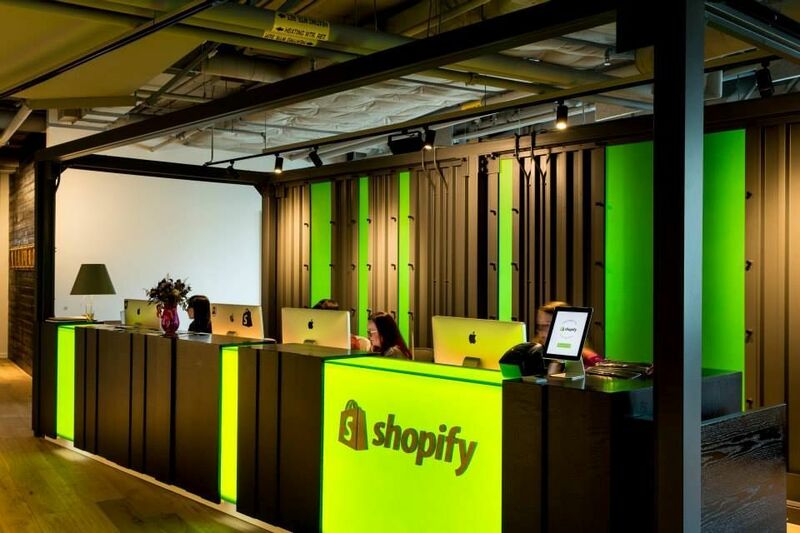 Amy Shapero, Shopify’s CFO, stated at the time that Shopify is looking to expanding its footprint even more in 2019. Other than Shopify, the tech companies that made the cut were IBM, Amazon, Salesforce, and rounding out the list was Alphabet. Coming in at number 25, Alphabet, the parent company of Google, Sidewalk Labs, YouTube, and Nest, made the list with a global headcount of 98,800. It is unclear how many of those employees work in Canada, but LinkedIn pointed to its top Canadian locations as Toronto, Kitchener, and Montreal. The list also pointed to the opening of Google’s (Alphabet’s largest subsidiary) cloud platform region centre in Montreal this past year, as a signal of the company’s ongoing investment in the region and country. Other companies that made the list included Bombardier, Suncor Energy, Loblaw Companies Limited, EY, Telus, PwC Canada, and a number of insurance and banking organizations. Of the top ten companies that people want to work for in 2019, according to LinkedIn, eight of the 25 (32 percent), are companies founded outside of Canada, and it was the Canadian branches or subsidiaries that made the list. Find LinkedIn’s full list here.